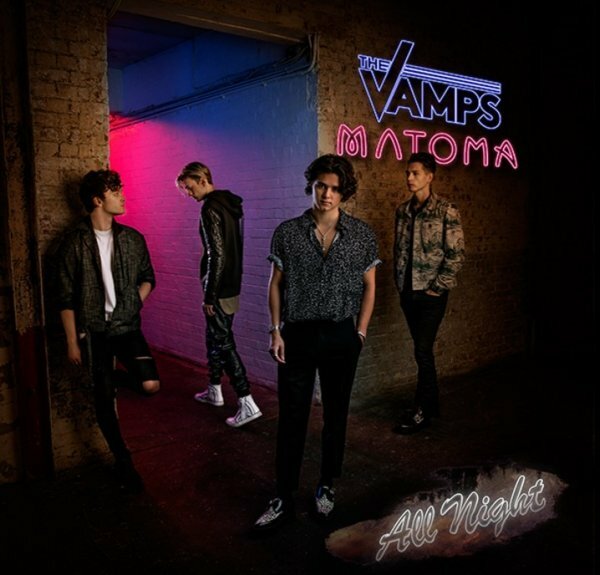 British pop rock band The Vamps have unveiled a brand new single “All night” which features Norwegian producer Matoma. Co-written by The Vamps with DJ Frank E (Madonna, Jason Derulo), John Mitchell (Enter Shikari) and Danny Majic (David Guetta), the track is the first taste taken from the group’s highly anticipated third album. “The song came about in Los Angeles with a producer called DJ Frank E” said the band. “He played us the initial pitched-up chorus and we wrote the sound around that. It was pretty quick to write in the end actually but took a while to finish the production as we all had different ideas and suggestions”. “All night is about the nostalgia of spending time with a girl and you’re up and you can’t sleep and you wish that you were with her” James added. As well as the release of their brand new single, The Vamps have just announced their UK tour in Spring 2017. They are also about to release their first book. “The Vamps: Our Story” can be pre-ordered now.